Inspired by the art, mythology, and culture of ancient Scandinavia, the Viking pendants we provide feature a number of striking Nordic symbols and icons like runes, Norse gods and goddesses, longships, Viking shields, Mjolnir, and more. These Nordic pendants are crafted meticulously to show a high level of detail, making them a stunning addition to any necklace. Please note that chains and cords for these pendants are sold separately, allowing you to pick your preferred length and type. Take a moment to browse our fantastic selection to find the right piece to accent your costume or outfit! 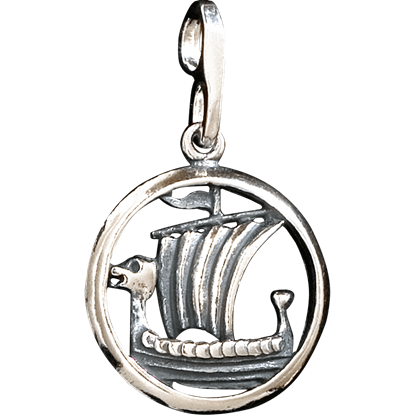 The 3D Norse Ship Circle Pendant does a wonderful job representing a true Viking vessel. For anyone who appreciates the adventure of the open sea, this pendant can complement any collection or outfit. Feel the awesome power of Mjolnir yourself with the 3D Thors Hammer Pendant. This elegant pendant is based on the hammer that is famous in Norse Mythology for possessing the power to destroy a mountain with great ease. 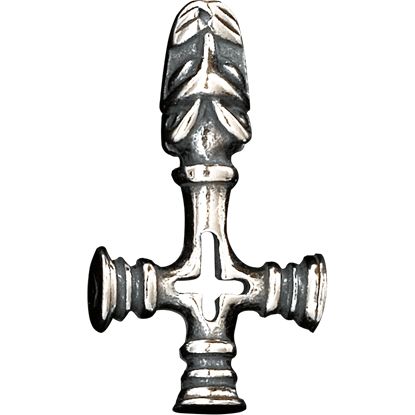 The hammer of Thor, often called Mjolnir, is not only known to create thunder, but also to protect all of mankind. 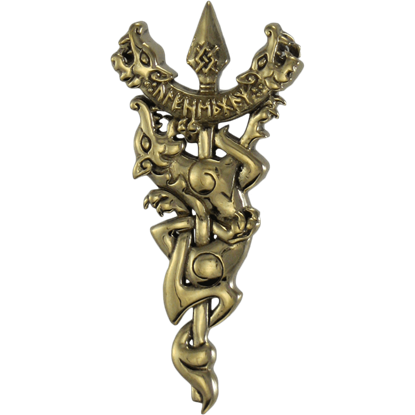 Wear the beautiful Bronze Dragon Hammer Mjolnir Pendant as an interpretation of this ancient, legendary symbol. The Norse goddess of love and fertility, Freya was said to fly through the air using a hawk wing cloak or travel the earth in her chariot drawn by cats. 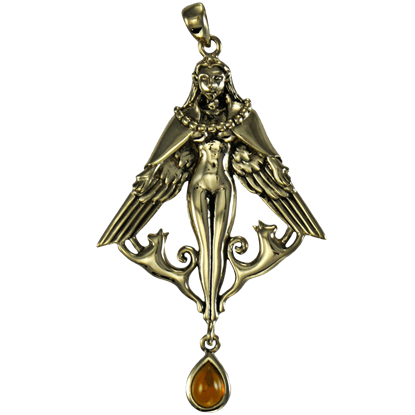 The Bronze Freya Pendant with Gem depicts the diety in lovely, symbolic detail. 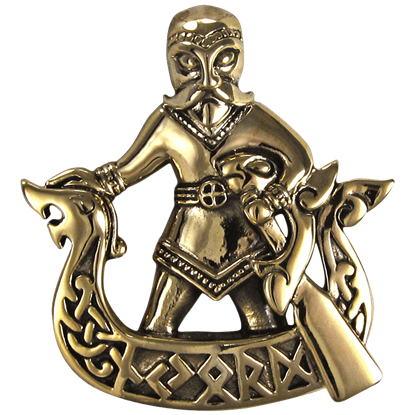 The Bronze Norse God Njord Pendant portrays the deity of the ocean. 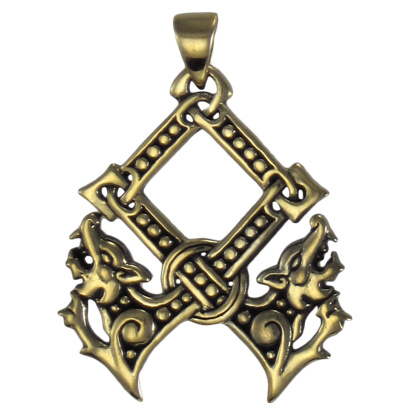 Made out of solid jewelers bronze, this pendant makes a great personal accent for those interested in Viking mythology and those looking to augment their style. Some Norse warriors were noted for their fierce prowess and their unshakable battle-rages. Known as berserkers, they were considered to be the favored of Odin, and two of their symbols are depicted in this Bronze Norse Wolf Pendant. Odin, mounted on his horse and ready to ride off into battle, was not a sight that many would see. 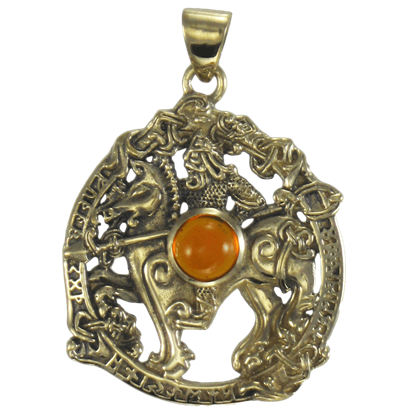 In fact, it is likely a sight only seen at Ragnarok, the end of the world, or by those who see this Bronze Odin Pendant with Amber Accent. 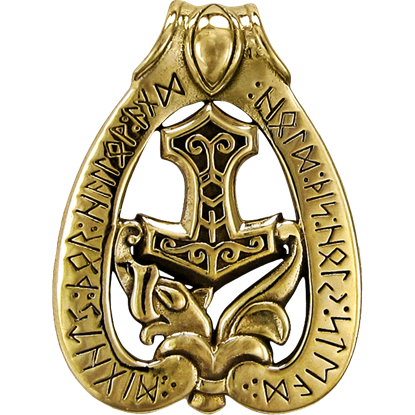 The Bronze Othala Rune Pendant, as its name implies, is a stylistic representation of a rune from the Eldar Futhark, which was a script used from the 2nd to 8th centuries. Othala, like most futhark runes, possesses a double-meaning. This Bronze Petroglyph Thors Hammer Pendant was inspired by ancient stone carvings found today in Scandinavia. 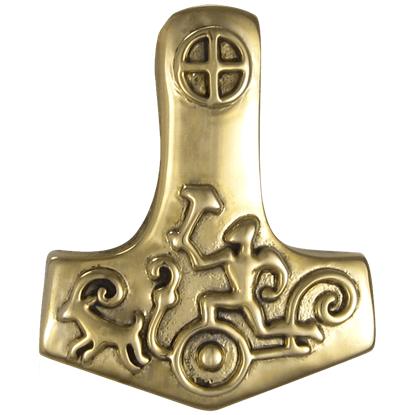 Depicting Thor and his goat-pulled chariot, this hammer shaped pendant is a must-have for Norse mythology enthusiasts. 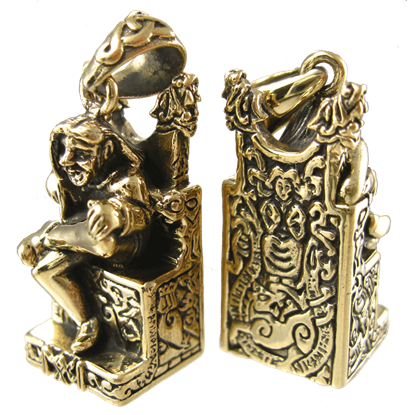 Each of the Norse gods has their own throne, and now, you can depict your favorite one seated on theirs as a personal accessory. This Bronze Seated Freya Pendant is for those who find favor with the Norse goddess of love. Each of the Norse gods has their own throne, and now, you can depict your favorite one seated on theirs as a personal accessory. 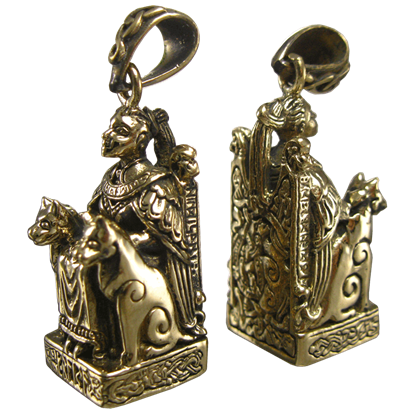 This Bronze Seated Freyr Pendant is for those who find favor with the Norse god of agriculture. Each of the Norse gods has their own throne, and now, you can depict your favorite one seated on theirs as a personal accessory. 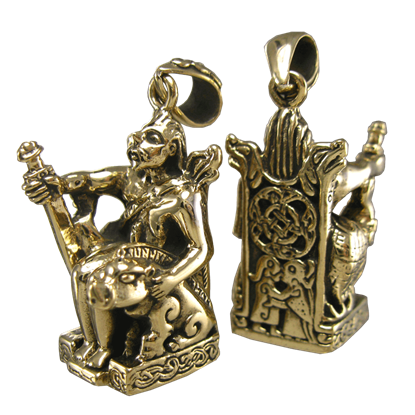 This Bronze Seated Loki Pendant is for those who find favor with the mischievous god of tricks.